Mice Problems Buford? Contractors Best Can Help! Contractor’s Best Pest Solution provides provided reliable mice eradication for the Buford GA region for 20 years. 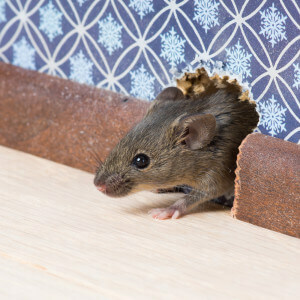 If you have spotted one mouse in your home or business and you have mice problems in Metro-Atlanta, there is every likelihood there are many. In fact, infestations are common throughout the Buford GA area because of its year-round warm climate. While one mouse might seem like a simple annoyance, a family or infestation of mice is a veritable health risk and a pest problem that must be contended with before it gets out of hand. Contractor’s Best Pest Solution has been serving the Buford Area for 20 years and are experts in Rodent Removal. Call us at 678-765-6525 to eliminate these destructive pests. Rodents like mice can become a serious nuisance. They are highly adaptive creatures that are incredibly adept at finding your food. As they gnaw and burrow, they also cause damage to your property. Moreover, mice spread disease and contaminate your clean home with their droppings. As they scurry through your food items, you may not even be aware of the food items they have come into contact with. We realize this is an incredibly frustrating and disruptive problem for people. We strive to eliminate these pests for you effectively and efficiently so you can enjoy life in your home again. Call Contractor’s Best to protect your home from disease-ridden mice. These rodents are known to spread illnesses like Mouse-Bite Fever, Leptospirosis, tapeworms, and ringworms. Additionally, mice are often flea-ridden and can introduce fleas and other parasites into your home. Our solutions are designed to assess and treat your pest problem with reliable expertise you can trust. Many home and business owners are concerned about the substances used to eliminate mice or other pests. We work with you to achieve a pest-control strategy that is right for you. For homes with children and pets, we provide an array of safe solutions you can trust. Don’t let mice ruin your peace of mind and wreak havoc in your home. Call us to eliminate these terrible pests before they can continue to breed and create an even larger problem. We will also help you determine where these harmful pests gained entry to your home you can prevent future infestations. Don’t stress about your mice problem. Call Contractor’s Best immediately for fast results.